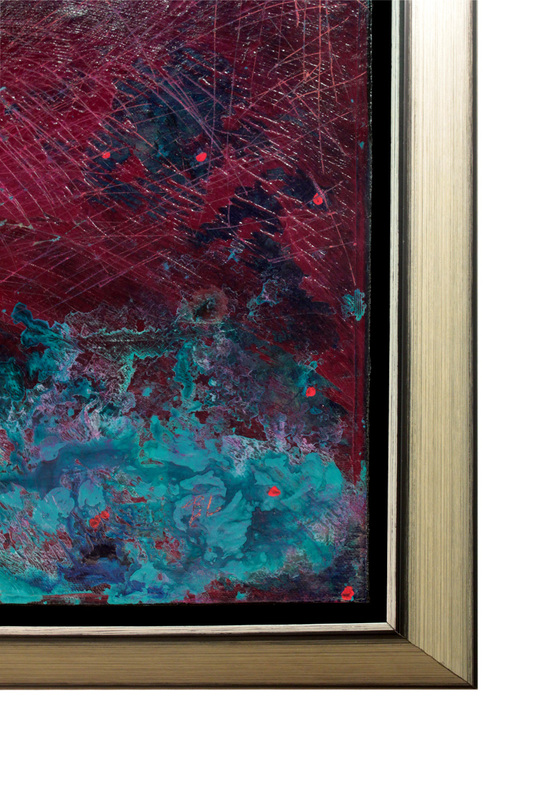 Original abstract painting, "The Elements", acrylic on canvas, by Brady Legler, American 2012 (signed and dated on verso). 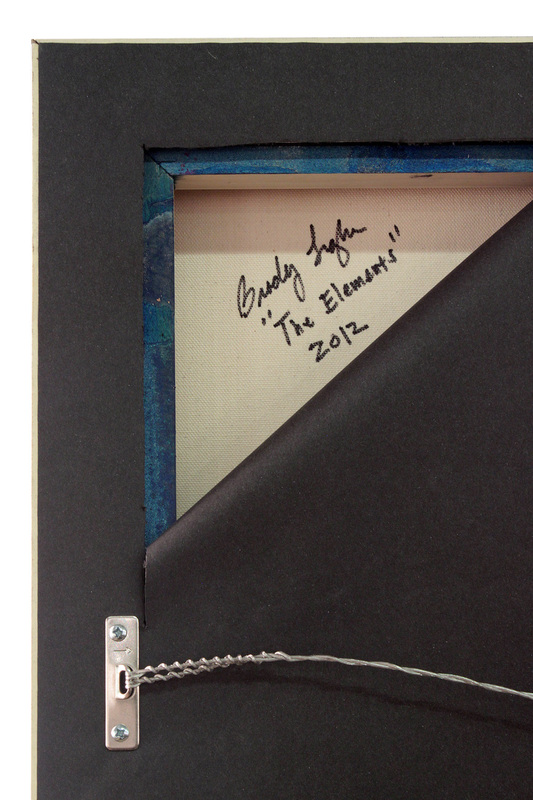 It has been framed in a custom silver leaf frame. Brady Legler is a talented painter and jewelry designer. 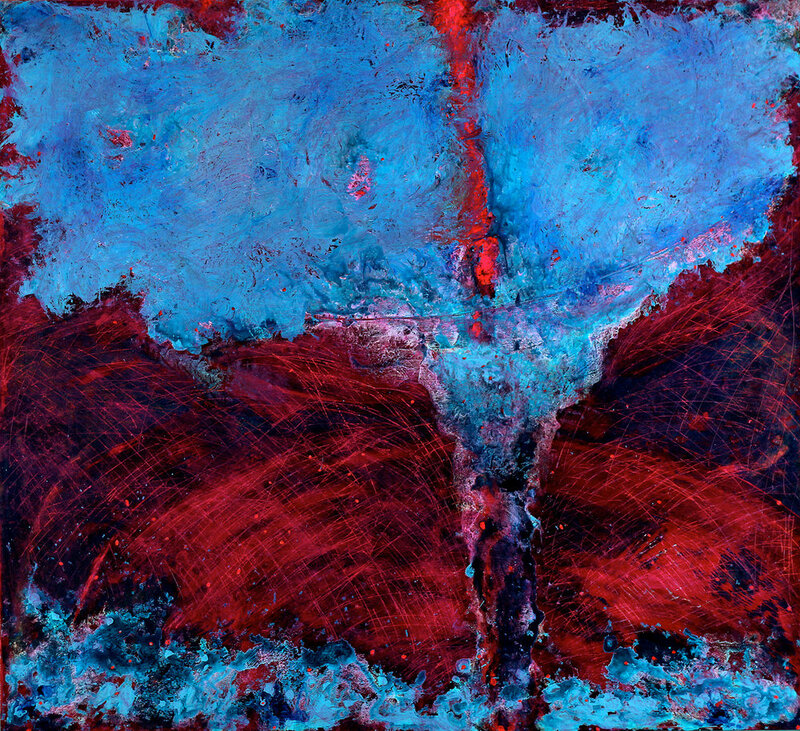 His works are an exploration of the way textures interact with colors to evoke a visceral response.